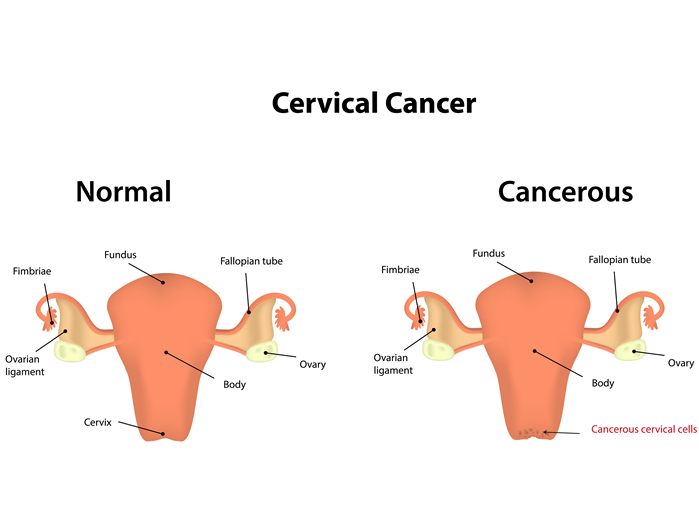 The development of cervical cancer is related to sexual activity and the Human Papilloma Viruses (HPV). Vaginal cancers are rare and usually secondary to cervical cancer. Cervical screening or a smear is a test to check the health of the cervix. It can reduce the risk of cervical cancer by finding early cell changes on pathology and therefore determines the appropriate treatment to prevent the further growth of abnormal cells. This is why regular smear examinations are so important: to detect any cell changes at the earliest possibility. Abnormalities are common, as 1 in 10 women's cervix will show cell changes. The most important thing to realise, is that most of these cell changes will not lead to cervical cancer. Furthermore early detection and treatment can prevent around more than 99% of cancers developing. What To Do If Your Smear Shows Abnormal Cell Changes? If your smear shows abnormal cell changes, your doctor will explain exactly what this means and what needs to be done. They may ask you to have a repeat smear because cells may return to normal by themselves. However they may ask to perform a closer examination called a colposcopy. Refer to our information on Colposcopy and Abnormal Smears for further information. A cone biopsy is also another type of biopsy and involves the removal of a cone-shaped portion of the cervix. Several methods exist for obtaining this specimen and include an electrosurgical technique called loop electrosurgical excision procedure (LEEP) or loop excision of the transformation zone (LETZ). These methods are only performed after an abnormal cell result is shown on your smear and colposcopy results.